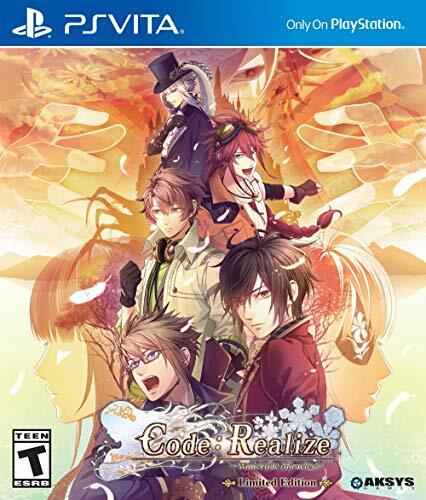 Made by the Masters of the Tome genre, idea factory and design factory, code: Realize ~wintertide miracles~ continues the adventures of the poison-skinned maiden Cardia and a selection of famous (and famously handsome) figures from Western literature as they face new challenges, new friends and foes, and new opportunities for love. Limited Edition includes: 6 – 3” acrylic Figurine Featuring the chibi artwork of the characters 8 – 4×6 oversized character cards all in a collectible rigid box images not final.Triangulate – experience the magic and chaos of a two-on-one date. Play with dynamics (and hearts) by bringing multiple members of lupin’s gang on a wide variety of romantic romps. Every end has a Beginning – learn more about the dashing detective her lock Sholmes and the mysterious Finis in the continuing sagas involving the newest men in the code Realize universe.